Building on a legacy of award-winning FireWire audio interfaces, the M-Audio ProFire 2626 brings next-generation performance to your PC or Mac host-based recording system. This powerful rackmount interface delivers 26x26 simultaneous I/O, complete with an onboard DSP mixer sourced from up to 52 audio streams. It features every kind of connection you need, including the award-winning Octane preamp technology on all 8 analog inputs, ADAT, S/PDIF, word clock and MIDI. Critically acclaimed JetPLL jitter elimination technology ensures pristine audio quality and reliable synchronization all the way up to high-definition 24-bit/192kHz resolution. In addition, the ProFire 2626 Audio Interface offers easy FireWire connectivity, extremely low latency, dual headphone outputs, front-panel 1/4" instrument inputs, and standalone operation. 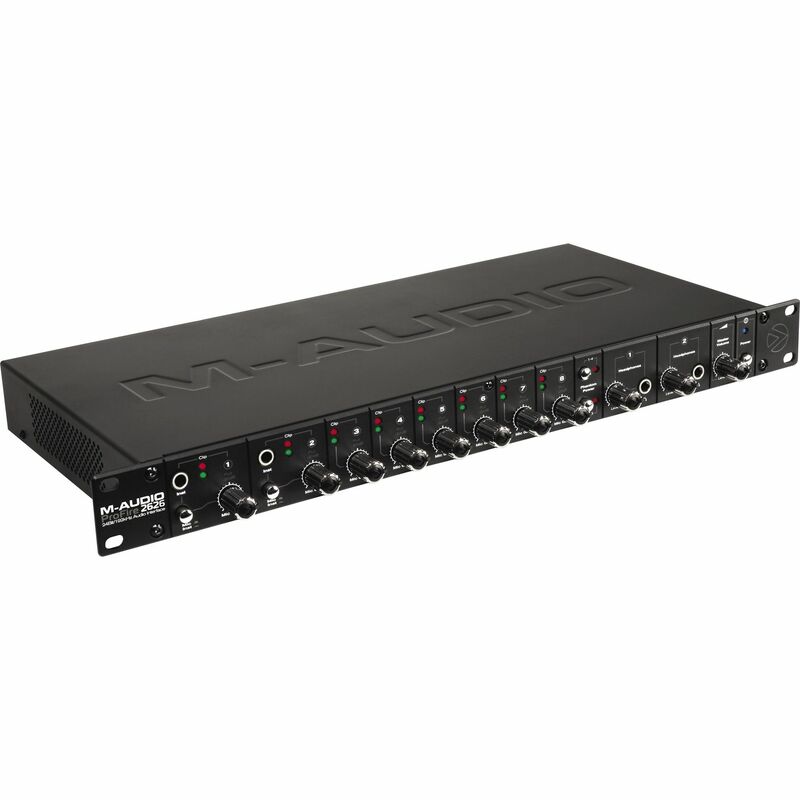 It is compatible with most major audio software, including Pro Tools M-Powered 7.4 (with downloadable update) which would boost you to 96kHz and a 18x18 I/O maximum. Visit the M-Audio website for update availability.